Q: Do the watering restrictions apply to pressurized irrigation only? Is culinary water usage also included in the restrictions? A: Enforcement will be implemented for outdoor irrigation use from the pressurized irrigation system only. Culinary water from the tap on the outside of your home is not restricted, as it is metered, and you are charged for your usage. However, we encourage conservation methods on all water usage. Q: Can I spot water with a hose on any day other than Sunday? A: Spot watering from a hose with metered culinary water is allowed on any day. However, spot/hand watering with a hose connected to the pressurized irrigation system is allowed only on your designated watering days and Sunday. Q: The current watering schedule doesn’t work with my lawn and landscape maintenance routine. Can I get permission to change one of the “allowed” days for watering? A: To enable accurate enforcement, the city needs residents to water only on the designated days. Providing exceptions to individual households would not be practical. All addresses ending in an odd number may water Monday, Wednesday, and Friday; all addresses ending in an even number may water Tuesday, Thursday, and Saturday. Spot watering on Sundays allows the system to regenerate and minimizes possible low pressure problems and outtake risks. Q: What days are the city’s parks and golf course being watered? A: The golf course superintendent and the lawn maintenance company in charge of city parks have both submitted watering schedules to the city. Due to the large acreages being maintained, watering may occur daily at the golf course and parks. However, the same parcels of sod will not be watered daily, but will be restricted to every other day, as is required of residents. 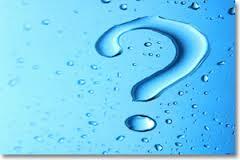 Q: What days are commercial properties (churches, schools, retail) allowed to water? What about homeowners associations? A: The city will be working with non-residential properties on approved watering schedules, which will comply with the intent of the restrictions. Q: Why are the parks, schools, and churches watering during the daytime hours? A: As far as adherence to “watering schedules” for the larger users, two issues need to be addressed. One is water pressure. The city, at times, by design, waters at off-peak times to alleviate pressure demands on the system. This allows for increased pressure to be sustained for residents, who typically water at night and in the early mornings. Many cities include this policy in their water management operations. Second, our parks maintenance crews, which are outsourced, are present in the city two days per week. On the days those crews are in town, they mow, weed, and maintain the city’s properties. As part of their evaluation, they may run the systems to repair broken sprinkler heads and to make sure that everything is operating properly. Also, if there are areas that are deficient in water, they manually run the system an extra cycle to irrigate the brown spots. When they leave, the system is turned back to the original watering schedule. The maintenance company is proactive and tries in every way to be efficient. These efforts help keep the city’s park maintenance costs down. Q: Do the watering restrictions apply to my garden? A: All pressurized irrigation usage will be limited to the days that are designated for your address. However, culinary water with a hose from the tap on the outside of your home may be used to water flower and vegetable gardens or other plantings, should the need arise outside of your designated days. Q: How do we get people to stop watering when it is raining or has recently rained? A: We are relying on each resident to conserve water and turn their automatic sprinkling systems off during and following significant rainstorms. Q: If I see violations of the current watering restrictions, what should I do? A: Contact the city’s Zoning/Code Enforcement officer to report possible violations of the watering schedule. Q: We are planning to install new seed or sod soon. Can we water outside of our designated days? A: Please contact the city’s Zoning/Code Enforcement officer to request a limited exception to the prescribed watering schedule. Q: Why doesn’t the city install rain sensors on the sprinklers in the parks, etc.? It seems such a waste to water during rainstorms. A: The city has installed approximately 12 rain sensors to regulate water cycles during and after rain storms. The sensors must detect one-half inch of rainfall before they will delay the cycles. The city’s Public Works Department will make evaluations to determine if other city systems can be retrofitted with rain sensors. Some of the smaller systems may not be compatible for retrofitting. Q: The pressure in my sprinklers is very low. Is there anything I can do to increase the pressure in my system? A: The PI system typically experiences peak demand in the early morning hours, from approximately 4 a.m. to 8 a.m. During this time, flows dramatically increase, causing a decrease in mainline pressure. If your system experiences dramatic flow or pressure decreases, test your system at non-peak hours, typically during the hours of 1:00 p.m. to 4 p.m. to see if your system operates normally. Though not always the problem, individual sprinkler performance may be adversely affected by a clogged or partially clogged filter within your system. The city does not filter the irrigation water from the delivery sources, and from season to season the amount of particulates in the water varies. Cleaning of individual filters is very important. We have had residents report that they clean their filter on a monthly basis to reduce restrictions, and their flows increase up to 50%. For instructions on finding the valve and filter, click here. If the problem persists, call the city’s Public Works Department for assistance. Q: I can’t seem to green up the brown patches in my lawn by spot watering. What’s my problem? A: Spot watering of dry areas may be appropriate during the hot weather months. However, not all brown spots are a result of low water application. Turf stress due to bugs or disease or cutting sod too short will adversely affect turf growth. Bill-bug is typical in our area and particularly apparent this season. It is identified by sod that, when pulled up with your fingers, does not extract roots but rather sod stems, which appear to be cut just above the root line. Fertilization may also be a factor during hot weather, as some fertilizers actually limit sod growth in extreme heat. Q: In a nutshell, what can I do to do my part in reducing secondary water use? A: Adjusting sprinklers according to the recommended watering schedule and mowing grass to at least a height of three inches will help reduce secondary water usage. Q: Does the city want us to call and report problems and violations regarding secondary water use? A: We appreciate residents who notify the city of outages or issues relating to our utilities. Oftentimes residents are the first eyes and ears to help us know what is occurring in the field. Thank you for your willingness to work with us as we try to solve these issues.